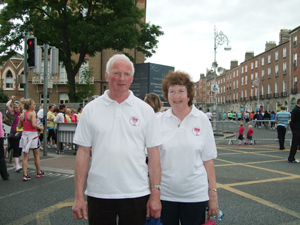 Geraldine and Michael Mc Grath participated again this year on behalf or our Charity, for the eighth time. This year they raised a total of €271, bringing the total raised to date as €9,848. Sincere thanks all our loyal sponsors.